Believers observe fast from dawn to dusk without experiencing the ecstasy of food and drink. This is practiced by all irrespective of where one belongs to…be one an Indian or a Libyan. 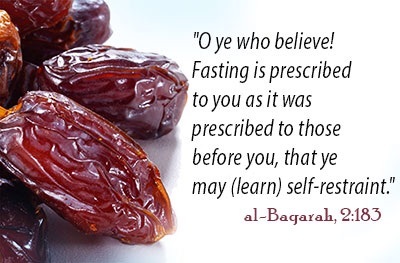 But the way fasting is celebrated somewhat differs from region to region. An Arab’s way of celebrating Ramzan is likely to be a bit different from those who are non-Arabs. While in Libya the arrival of the month of fasting alters the normal routine of life, it remains unaffected in India. The night turns out to be a ‘day’ and the day slides back into a ‘night’ for most of the people in Libya. They remain fully awake the whole night while the day is utilized for taking a rest. The same does not happen during the month of fasting in India. Most of the people who observe fast remain in their regular routine of doing duties and performing tasks. During the month of Ramzan, the business activity which remains lull throughout the day begins to pick up momentum after the last prayer in the night in Libya. In India, commercial activity remains unaltered during the day and people begin to retire to bed by midnight. Truly, the sight of evening, particularly the time of breaking fast, i.e. Iftar, is remarkable to behold in Libya. The absolute self-imposed-curfew is observed. Not a single soul is to be noticed on the road at the time people gear up to break their fast. In India, men, women and children remain busy with their works while managing or stealing time to break their fast at sunset. The shops remain open and those who could not manage to rush home for Iftar do so at their workplaces themselves. The restaurants are completely closed in respect for Ramzan during the day in Libya. Those who do not fast, particularly non-Muslims, have to manage lunch on their own as no cafeteria is expected to open for public reception. The hotels, small or big, remain open for public in India during the month of fasting. The restaurants are also seen open with curtain half-hanging at the entrance where Muslims dwell in majority. No public display of eating food or drinking water is approved in Libya. It amounts to the making a contempt of fasting for most of the Arabs. The freedom to eat or to drink is unrestricted in India with no spiritual consequence as such. The non-obligatory prayers known as Taraweeh in the night are attended with enormous zeal and immense accountability by the followers in both countries. However, in India arrangement is made to accommodate women for night worship in mosques or in places only reserved for women, the same provision possibly seems to be missing in Libya. The other interesting observations include when older people in Libya manage to sit longer outside their houses in groups during the entire night gossiping or worshiping. They keep busy with tea, coffee or sometimes smoking while women and children throng market for shopping till dawn. In India, the crowd begins to disperse after ten o’clock in the night. Most people prefer to sleep only to wake up at dawn to take food known as Sehri to energize for fasting during the day. Culturally, the modes and means of celebrating the month of Ramzan may be different but the essence of fasting remains the same, i.e., to confess and repent, to reach ‘spiritual ascent’ and to seek blessings from God. It is a good and readable article.Comparison between the Indian and Libyan way of observing the fast is informative and entertaining. In the creation of the heavens and the earth; in the alternation of nigh and day; in the ships that sail the ocean with cargoes beneficial to man; in the water which Allah sends down from the sky and with which He revives the dead earth, dispersing over it all manners of beasts; in the movements of the winds, and in the clouds that are driven between earth and sky; surely in these there are signs for rational men. The Koran, Al-Baqara (The Cow) 2:164, Penguin Classics, England. Allow this columnist a cry." Opinions are accepted from all those who can touch upon the common thread of human voice and conscience. The Observation stands for honest and frank expression of ideas. The fundamental purpose is to serve humanity by discussing themes of shared interests and values among people of different faiths.